Trailer video for the 2016 World Cosplay Summit which will be held on July 30 to August 7 in Japan. The video shows some history of the convention, plus clips from the cosplay competition (presumably from 2015), parade and side events. The WCS is held over a one week period where representatives from different countries visit various parts of Japan, including Akihabara, Kyoto and Sendai, to promote the Japanese youth culture and its ability to connect internationally. The finale is usually held in Nagoya on the first weekend of August. Promotion video for the upcoming Anime Expo (AX), the largest North American anime convention. The 1:40 minute clip showcases the happenings from previous year, i.e. the crowd, cosplayers, forums, exhibitions and Jpop shows. AX is traditionally held on the first weekend in July. The annual event will again be hosted at Los Angeles Convention Center, their main venue since 2008. A special video by AFA organiser which reflects the journey of the Anime Festival Asia which was held in Singapore since 2008. A few sub-conventions were held in other Southeast Asian countries during this period as well. 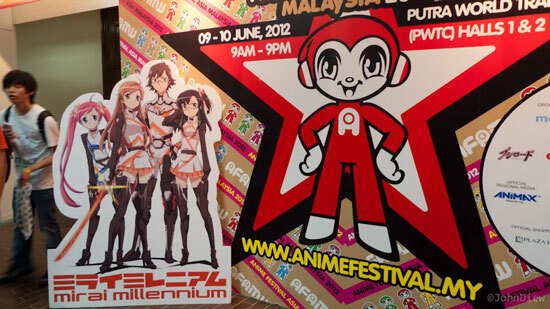 AFA has since established itself as the premier Japanese pop culture festival, bringing to SE Asia countless top performing artists and industry guests over the last seven years, with an estimated 700,000 attendees at 11 events. The first two minutes include highlights from the AFA2014 which concluded last December. The second (six minutes) part are interviews with founder Shawn Chin and regular performers at AFA i.e. May’n, LiSA, fripSide and Eir Aoi. I would have made the trip on its first year if not for a friend’s wedding. My interest gradually fades though, I rarely watched anime anymore back then and even less so nowadays… if they are doing some 90’s retro I may give it a go though LoL. Comiket, or Comic Market, is the world’s largest dōjinshi (aka self-published books/manga/art) fair, held twice a year in Tokyo, Japan. 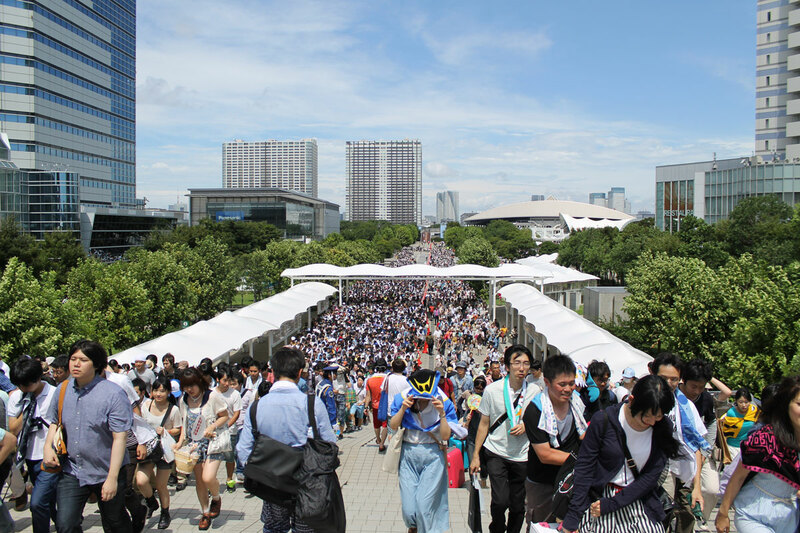 The most recent Comiket, the Comiket 86, was held on August 15-17, 2014. Over half a million people attended the event. Photos by Rocketnews. [Read more…] about Comiket 86 Cosplay etc. A “torn-apart” life-size Gundam model is currently on exhibition in Odaiba, Tokyo. The Gundam stood tall at previous exhibitions in the past two years, but the organiser decides to make things a bit different this time for the visitors to have a closer look at the design. Video and pics by Darwinfish [Jp], music by by Yusuke Tsutsumi.